Kokeshi dolls are traditional miniatures originated from Japan. There are different styles, but they share the same characteristic, they have no legs, and no arms. 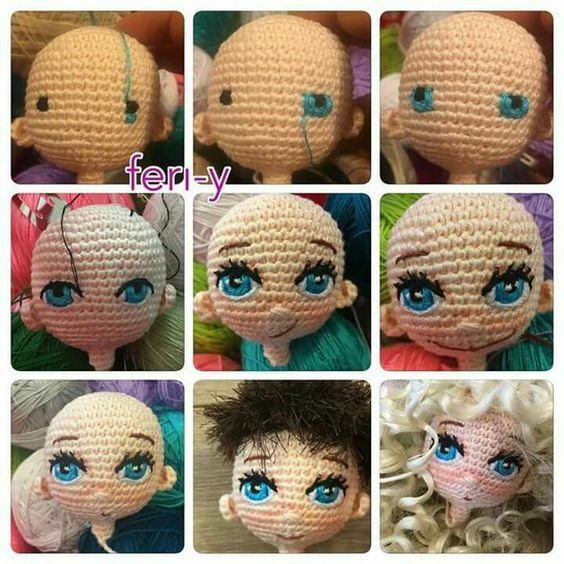 They are made with wood, and since amigurumi has become a popular form of crochet, you can also find them made with yarn. I love these dolls, they are so cute. I have been making a few in the past years, but every time I make a new one I try to do something different. Here is the last one I crocheted, I think she turned out really cute. I love using different colors for the hair and dress every time I crochet one. It’s a lot of fun to try new combination, I picked burgundy, green, and blue this time around. 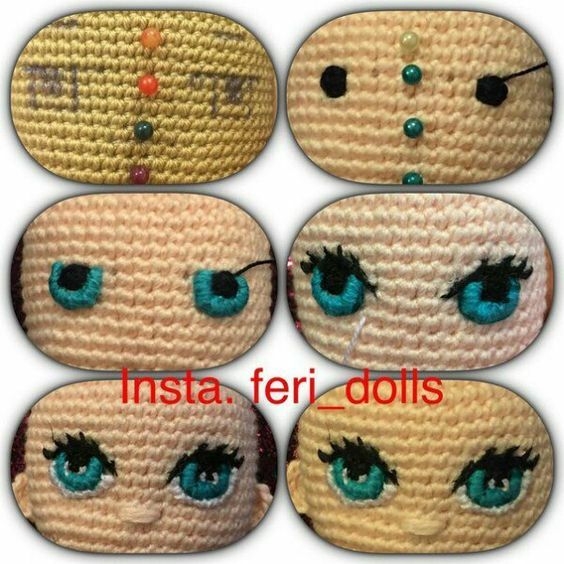 I embroidered the eyes with black yarn, sometimes I use safety eyes but I think I like it better this way. I like to try different shapes for each one. It’s also fun to try different hairdo, one bun on top, or two buns on each side. You can really get creative and try pig tails, add braids etc… I went with the simple bun on top, and decorated it with a flower, and a ribbon. I added a little piece of accessory on the side to add to her looks. If you look at traditional Japanese costumes, you will see that there are different kind of bows attached to the back of the dresses. Mine is very simple, I just used felt and some glue. I finished my project by gluing a wood circle to the bottom of the doll. It keeps the doll from falling over, and the yarn from getting dirty. Watch out, once you start making these miniatures, it’s hard to stop!